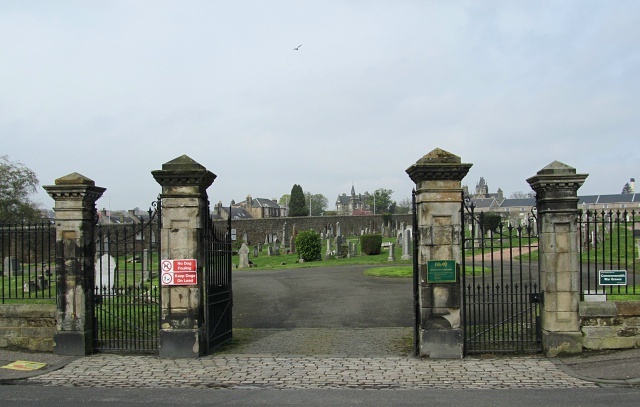 The cemetery is located on Balsusney Road, Kirkcaldy. Lieutenant Colonel William Thomas Marshall, V. C. (Received the V. C. during the Mahdi Rebellion in 1884). 19th (Queen Alexandra's Own Royal) Hussars, died 11th September 1920, aged 65. Husband of J. J. Marshall. 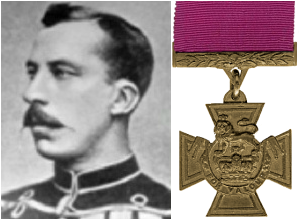 Served in the Egyptian Campaign 1882-84 (Mentioned in Despatches) and South African War. Secretary Fife County Territorial Association. Citation: An extract from "The London Gazette" dated 21st May, 1884 records the following : "William Marshall, Quartermaster Serjeant, 19th Hussars. For his conspicuous bravery during the cavalry charge at El Teb, on the 29th February, 1884, in bringing Lieut. Colonel Barrow, 19th Hussars, out of action. That officer, having been severely wounded, and his horse killed, was on the ground surrounded by the enemy, when Quartermaster Serjeant Marshall, who stayed behind with him, seized his hand and dragged him through the enemy back to the regiment. Had Lieut. Colonel Barrow been left behind he must have been killed."